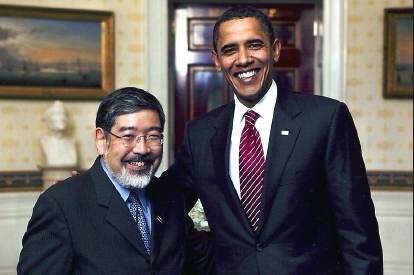 Paul Igasaki was appointed head of the Department of Labor’s Administrative review Board by President Barack Obama. WASHINGTON — Paul Igasaki, chair of the U.S. Department of Labor’s Administrative Review Board, completed his fourth term as chief judge of this body on Jan. 31. He began his tenure as head of the DOL’s administrative appeals body on Feb. 1, 2010, appointed by Secretary Hilda Solis and President Barack Obama, and was reappointed by Secretary Tom Perez. Igasaki was the first Asian American to serve as an ARB judge or chair. The five-member judicial review court reviews decisions by administrative law judges and certain DOL administrators under more than 60 different statutes covering whistleblower, wage and hour, immigration, equal employment opportunity and other matters. Igasaki named Judge Joanne Royce as acting chair until Secretary Alexander Acosta names a successor. Under Igasaki’s leadership, the rights of workers protected by whistleblower laws were developed to better protect those qualifying under the law. Workers were protected from retaliation for reporting safety concerns in trucking, aviation, radiation and railroad occupations, among others. Workers were also protected for reporting securities fraud. During Igasaki’s terms as chair, the number of laws appealed to the ARB increased steadily. Foreign workers authorized by law are to be paid the same as resident workers and otherwise in compliance with immigration law. Ethical standards for the ARB were protected and codified for the ARB and other adjudicative bodies at the DOL. While many cases reviewed by the board were not often in the popular press, the impact on workers and companies by ARB decisions was considerable. The vast majority of the ARB decisions that were appealed were sustained by higher courts, usually the U.S. Courts of Appeal or the Supreme Court. “With the end of my current term, I am retiring from federal service,” said Igasaki. “It has been an honor and a great opportunity at both the Department of Labor and the EEOC to make America’s workplaces fairer and more effective. I have been able to accomplish what I have due to the very hard work and skills of career and appointed staff that have been part of my team. Igasaki served for a similar amount of time as vice chair and acting chair of the U.S. Equal Employment Opportunity Commission after his appointment by President Bill Clinton. He also was executive director of the Asian Law Caucus in San Francisco, Washington, D.C. representative of the Japanese American Citizens League, Asian American liaison and human relations counsel to Chicago Mayor Harold Washington, pro bono coordinator and staff director for the American Bar Association, deputy CEO of Equal Justice Works, and community law fellow for Legal Services of Northern California, among other positions. He was a founder of the National Asian Pacific American Bar Association and the Chicago Asian American Bar Association, and has served on many committees and commissions for the American Bar Association, including as chair of what is now called the Section on Civil Rights and Social Justice.